The lotus has long been regarded as sacred by many of the world’s religions, especially in India and Egypt, where it is held to be a symbol of the Universe itself. Rooted in the mud, the lotus rises to blossom clean and bright, symbolizing purity and resurrection. The leaves and flowers are borne high above the water. It is often compared to the enlightened being who emerges undefiled from the chaos and confusion of the world. In India, the Hindus hold the lotus seed to be especially sacred because the seed contains perfectly formed leaves, providing a complete template for the adult plant. This is believed to be Divine form passing from the abstract into tangible reality. The eight-petaled lotus used in Buddhist mandalas speaks to cosmic harmony. 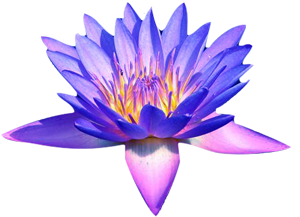 The thousand-petaled lotus represents spiritual illumination. We are honored to take the name of this sacred plant for our company’s symbol.